Harvest time has come, one week later than expected. Day 138, or, in other words, almost 20 weeks from seed. This was a long journey that started in fall 2017 and ended in (almost) spring 2018. I had to face various challenges, where the hardest one was temperature management. Winter here has been very cold, and my grow room wasn’t ready for that. I firstly tried using two heating bars, but those weren’t enough, so I bought two more ceramic heating lamp, that finally helped to keep a constant and acceptable temperature. Talking about the strain itself, this Euphoria started very fast, a lot faster than all the other plants in the grow room, and was a pleasure to grow. Because of the fast growth, I’ve been able to train her a little bit, despite of the lack of space (it was a density growth), and this helped me obtaining a decent harvest at the end. She’s been topped 6 times in total, plus a bit of LST to separate some branches, and when flowering started, I transplanted her from a 12L pot to a 20L airport with added perlite and Biobizz light mix. 6L of water every week, given every Monday, and she always felt satisfied. During flowering, the smell was totally fruity, even more than Blue Mystic one, so I really appreciated it. When I harvested this plant, the scent was a little more industrial candy like. Very sweet, maybe too much, but this is normal when you harvest weed. By the way, she’s grown like an indica, and her final height didn’t reach 1m. But she created many big colas instead! Due to the lack of space, she used nearest plants to support her branches. This made her stems not strong enough, and in fact, when I took her out of the grow box for the flush, she fell on herself. I think I wrote everything I could about the growth, so now let’s talk about the smoke session! Overall, I think I'm happy about these nutrients. Not one health problem until the end, and then... magnesium excess that destroyed many leaves. But I know why. Flawless Finish is a final-phase nutrient rich in Magnesium that you should use with the dosage of 2ml/L on last week before harvest. I think there's a little misunderstanding here, because, as my first time, I used it in the wrong way. What happened: flushing the plant, I gave her let's say 40L of tap water (PH 8), and then 12L of the same tap water, corrected in PH, with added Flawless Finish. The problem is that 2ml/L for 12L means 24ml of Magnesium enriched solution stuck in the soil. That's too much if you think that I've always given way less nutrients on every Monday feeding. I think I should have given the usual quantity of nutrients (6L with added nutrients). The result of this was broken and very dry leaves, full of spots. I don't think it was a PH burn, because the same happened in both Blue Mystics flushed with initial liters corrected in PH. By the way, I can't judge all the other products taken alone because I've often used them altogether and I was in a pre-fertilized soil. Its a great pleasure to have had the luxury to follow this grow. 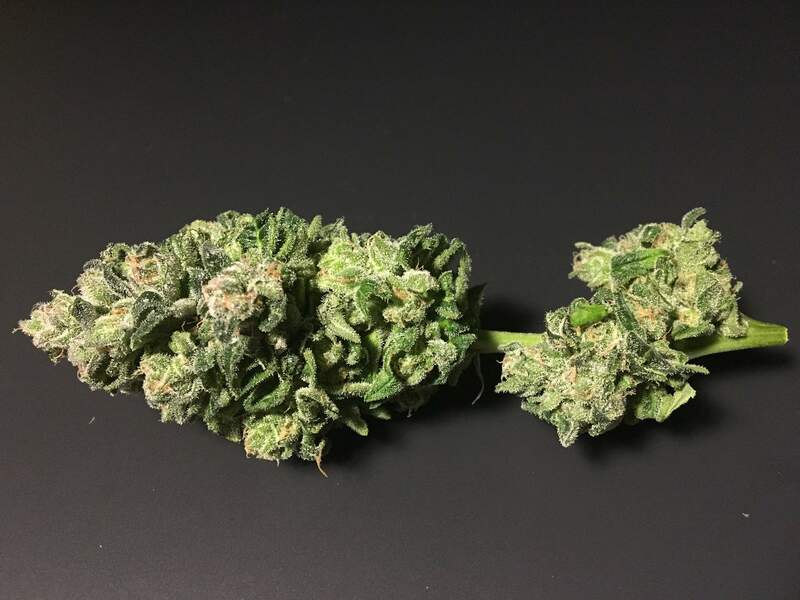 Your first CBD strain and the great results. Im happy that one more in this community discovered the wonderful and versatile medicine that is high in cbd. I like your description of your grow and how it effects you and all the good things you feel when using it. And now that your is initiated into this lovely world, I just hope you will continue to try more cbd varieties. And i´ll be flowing your grows and journey. And too your question if every cbd strain have this potential ill would say both yes and no. I have discovered tha if you are sad, depressed or just is a little of one day the cbd will boost you up. If you are stressed it will calm you down just a little bit. If you have pain it will ease it. If you need sleep she will help you and if you are tired but dont want too fall asleep she will give you energy. And i can go on and on with this type of experience of this lovely thing called cbd from cannabis. You will experience that if you use this strain for a week and about 3 times a day. You will have different help from it or benefits that differs from situation to situation. Congratulation too a great harvest and ill will follow your next cbd grow. And i think this diaries will have a spot in the top 10 diaries of the mount. Im looking forward too se your grow here in GD. @B4RNS, Thank you very much mate! Congratulations great harvest and thanks for so good report!Enjoy bro! @somnabull, Thank you so much bro!! Can’t wait to see yours! Amazing results! Your reports is like a knowledge treasures, bro!